The phenomenon of the online casino bonus is one that has attracted countless ‘would be’ casino goers and turned them into fully fledged online gamblers. The ability to effectively ‘taste test’ a casino with their own money before jumping in with one’s own hard earned cash is, quite frankly, a no brainer. But how do casinos manage to offer a clear casino bonus that allows players to gamble for free, and still allow the casino to make money? There are several ways. Firstly, the online wagering requirements of an online casino bonus are far different to ‘real money’ when it comes to withdrawing winnings. When someone deposits, say, £10, any winnings accrued from that £10 are normally available for immediate withdrawal. With a bonus it’s slightly different and down to the discretion of the casino; furthermore, it will normally be very clearly stipulated in the terms and conditions when any potential player claims a bonus. Many casinos will have conditions along the lines of having to wager a total of 30 times the value of the bonus amount, before any winnings can be withdrawn. This effectively ensures that no players jump in, claim a £50 bonus, wager £10 and then withdraw the rest, leaving the casino down financially. After all, how would giving away money be any kind of successful business model? In basic terms, this means that anyone claming a £10 bonus, as a guideline, would need to wager £300 in total before any winnings derived from the bonus can be enjoyed. But it doesn’s stop there. Some of the easier games, such as slots or Blackjack, and some of the more popular games with a quicker turnover of cash (again, such as slots or ‘scratchcard’ games) may have an additional caveat attached, such as only counting towards 50% of the wagering requuirements. In theory, someone playing slots, with a 50% wagering ratio, could find that their £10 bonus means that £600 needs to be wagered before anything can be withdrawn. It’s also important to note that, very often, these wagering requirements apply solely to the bonus cash. It’s not possible to claim a £10 bonus and then wager £300 of the gambler’s own money to satisify requirements and then withdrawn the bonus. 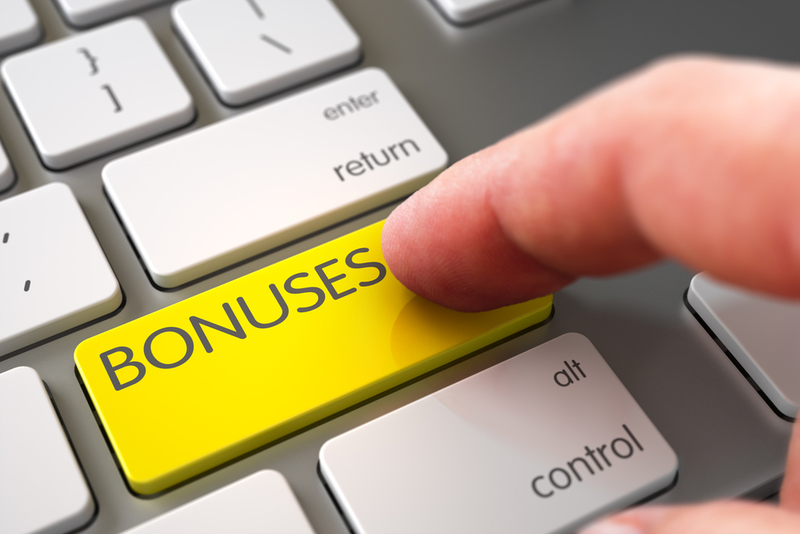 In simple terms, the bonus money given is wrapped up tighter than a drum. Casino bonuses are also tied to some pretty stringent terms. They’re often matched to the amount of ‘real money’ that a player deposits, so deposit £100 from a card, and receive an additional £100 in bonus funds. However, withdrawing just £1 in real money from the casino, and the player risks losing the entire bonus balance, as the entire amount was dependent upon wagering a pre-set amount, and the player has effectively reneged on that agreement. But it doesn’t stop there, sometimes a bonus balance will be added automatically. Who would actively give away money, bonus based or otherwise? The player will often have to actively visit a page within the casino, or enter a promotional code in order to activate the bonus funds. It may also be tied to a time frame, such as depositing funds and activating the bonus within 48 or 72 hours of opening the account. In short, bonus funds should really be considered nothing more than a taster for casinos, and this is pretty much how the casinos themselves view them too. They have none of the freedoms that a casino’s real cash balances have, and can often only be used on certain games to avoid serious or professionl players rinsing the casino through smart and astute gambling. By dressing this taster up as cash, casinos can afford to offer up some pretty sizeable and attractive bonuses, often exceeding 200% of the amount deposited. In short, casinos can afford a real, clear casino bonus for every prospective customer as it’s so tightly constricted as to not really count as real money. Furthermore, those emails that are often sent out begging customers to return and give the casino a second chance are targeted, normally at customers who have spent (and lost) enough money at the casino that a little ‘cash’ on the table is not going to place a dent in the casino’s wallet. The odds are stacked in the house’s favour and this is what allows them to take the risk of offering up a welcome or return bonus. It’s not a financial loss, it’s a clever investment.